Dr Devarajan completed his MBBS from Kerala, India. He is one of the most experienced Medical Practitioner in the city of Ras Al Khaimah. He has worked in the ministry of Health, RAK for 24 years and since then, he is working in NMC Royal Medical center for last 14 years. 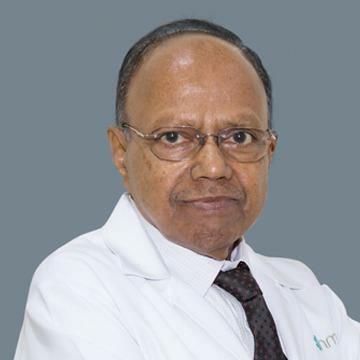 He has treated numerous complex medical cases and continually treating patients with astute clinical acumen and selfless behavior towards them. He can fluently speak English, Hindi, Malayalam, Tamil and Arabic.